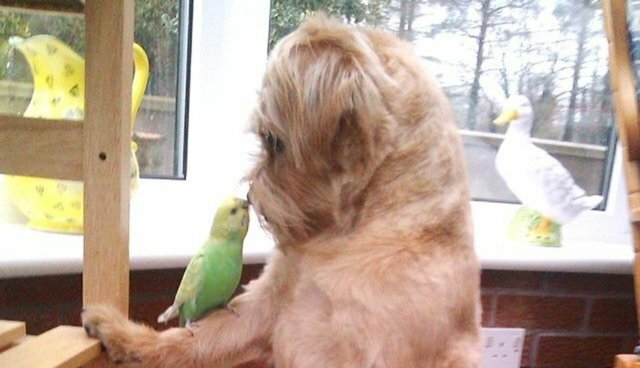 Jax the dog recently performed an unexpected heroic act by jumping into a lake to grab a tiny bird who was drowning and bringing him back to shore. The little bird looked a bit bewildered (wouldn't you?) but was otherwise unscathed. Jax's owner Rick Sauer commented on his YouTube video that he returned the little bird to his mother's nest, and returned several days later to find all the baby birds safe and sound. Says Sauer "I hunt with my dog but it was really cool to see that he knew the difference between a bird in distress and a bird that he is hunting."